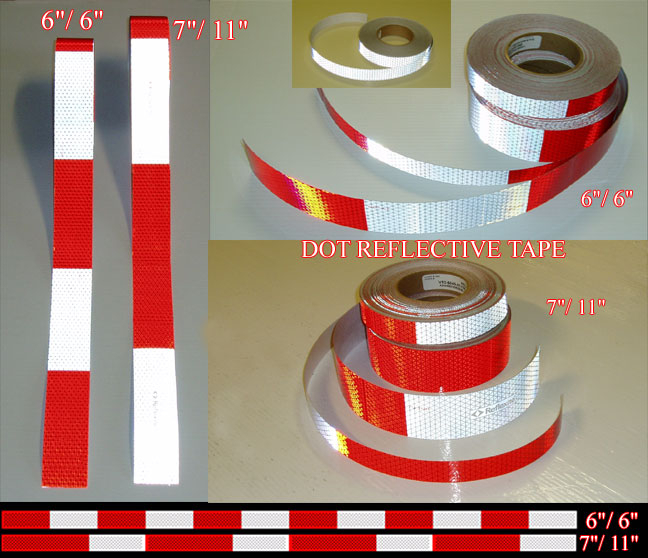 1", 2", 3" or 4" x 30' (thirty foot) rolls of 5-7 year rated DOT conspicuity tape available in the popular 7 inch white by 11 inch red pattern, a 6" red by 6" white pattern or in solid white. 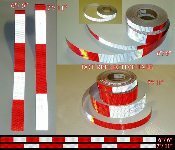 Extremely bright commercial grade tape. Made in the USA. Easy to apply. Simply peel the backing off and apply to a clean surface. 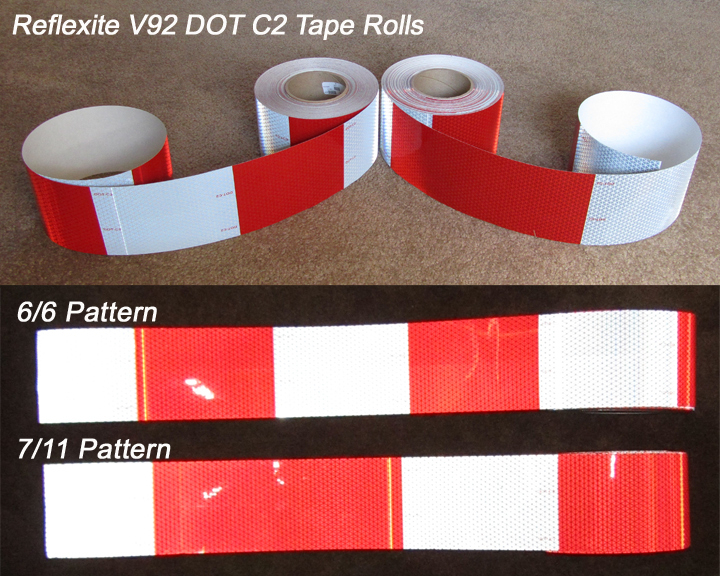 The C2, C3 and C4 designations simply refer to the width of the tape. C2 or 2" is the most popular for trucks but the 3" and 4" are also fine for trucks and add 50% to 100% reflectivity to your application.